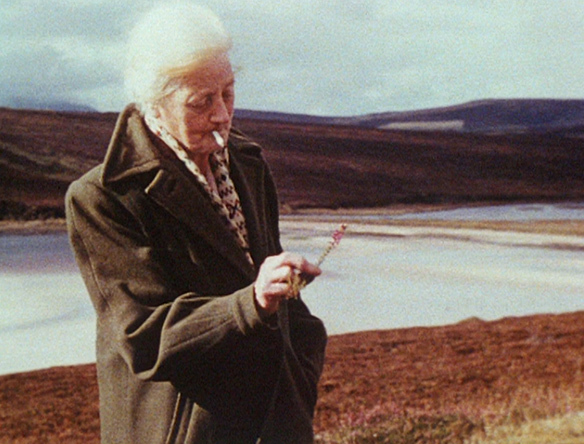 Margaret Tait (1918-1999) stands out as one of Scotland’s most innovative and stridently independent filmmakers. Although her work was relatively unknown during her lifetime, recent years have heralded a more widespread acknowledgement of her significance across several areas of the arts in Scotland — film, art, and poetry. Marking the centenary of Tait’s birth, this program showcases part of the body of work she referred to as her “film poems.” Made in Edinburgh and Orkney, the two places she lived and worked for most of her life, the films, shot on 16mm, capture the people and places she was most familiar with. Celebrations of the everyday, they approach their subjects with great intimacy, unravelling the mystery of the commonplace through details often overlooked. Three Portrait Sketches | 1951. 10 min. A Portrait of Ga | 1952, 5 min. Where I am Is Here | 1964. 35 min. Aerial | 1974. 4 min. Colour Poems | 1974. 12 min. Tailpiece | 1976. 10 min. "A unique and underrated filmmaker, nobody like her. Born of the Italian neo-realists, formed of her own Scottish pragmatism, optimism, generosity and experimental spirit, and a clear forerunner of the English experimental directors of the late 20th century. A clear example of, and pioneer of, the poetic tradition, the experimental tradition, the democratic tradition, in the best of risk-taking Scottish cinema." Novelist Ali Smith on Margaret Tait. Full text here. – All closed for the night! On an early summer morning. I didn’t see the petals moving. I didn’t see them opening. But I didn’t see them moving open. The thing about poetry is you have to keep doing it. People have to keep making it. And lasts for an instant. Tomorrow they’ll be something else.